The Lord Jesus Christ has blessed the Temple Family with two amazing Pastors who serve as shepherds of our souls. We thank the Lord for Apostle Dr. Gentle L. Groover Sr. and Bishop Kenneth Groover. Born to Gentle Lee and Vivian Lucille Groover in the 1950s, our Pastor was destined for greatness. He was educated in the local schools in Greenville, Florida and the Community College in Madison, Florida. He later attended the W L Bonner College in Columbia, South Carolina. As a lad, he came to know Christ and has maintained his integrity ever since. He was reared in the Church and is no stranger to the work of the ministry. 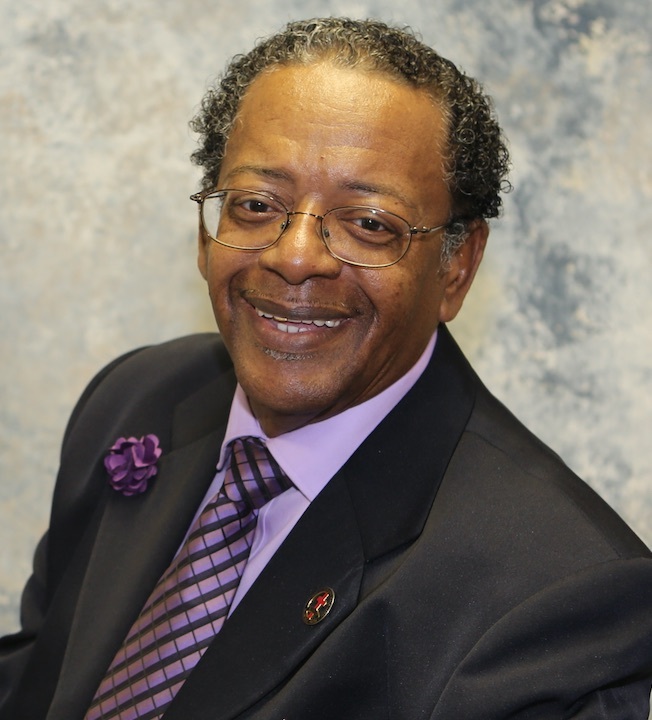 “Pastor Ken” as he is affectionately known, has been a staple of the Greater Refuge Temple since its inception in 1963. Pastor Ken is a true son of the Church of our Lord Jesus Christ of the Apostolic Faith, Inc. and fully committed himself to the upbuilding of the Kingdom of Heaven. He came up through the ranks and was ordained a Deacon in the Church of our Lord Jesus Christ in 1977. In 1986 he was called into the ministry and shared the Gospel of Jesus Christ without compromise. Pastor Ken was ordained Elder in August 1989. Down through the years, he has served the Temple’s Ministry in numerous capacities including Church Administrator, Financial Secretary, Treasurer, Sunday School Superintendent and Youth President. Over the years Pastor Ken has served as the North Florida Diocese Executive Secretary as well as the Florida Diocese as the Executive Secretary. His love for young people was evident in the many activities that he engaged them in. Through his example, Pastor Ken taught the youth how to love the Lord and how to share the love of Jesus with their peers. This love led to his election as President of the International Congress of the Church of our Lord Jesus Christ where he was able to positively influence more young people. Pastor Ken served the organization as Vice President of the International Congress for 3 years and was then elected as Congress President serving for 6 years. He was appointed Pastor of Administrative Affairs and in April 2006, joined his father as Pastor of the Greater Refuge Temple. In July 2007, he was appointed District Elder. Being blameless, vigilant, sober, of good behavior, given to hospitality, apt to teach, patient, and of good report as instructed in 1 Timothy 3, Pastor Ken was consecrated to the office of Bishop on July 22, 2012, during the 93rd International Convocation of the Church of our Lord Jesus Christ. Bishop Ken became the Diocesan of the Florida Diocese under the recommendation of Apostle Gentle L. Groover Sr.
Bishop Kenneth Groover has been blessed with the ability to govern with firmness and a kind tongue. Pastor Ken’s love for the ministry and the people of God is evident in his devotion to the betterment of each individual and continued contribution to the Kingdom of Heaven.